Launching today at the Demo Conference in Palm Springs is flyRuby, a platform that enables you to search, compare, and book private air charters online. There is something to be said for startups that identify successful services and business models and apply those to under-served niche markets. Through its website, flyRuby hopes to deliver a quick and efficient way to book private air charter that is comparable to the instantaneous search, booking, and competitive pricing of commercial airline sites, like Orbitz, Kayak and Expedia. The project of founder and CEO Michael Leek, flyRuby owes its technology to CTO Dr. Stephen Smith, who, working in conjunction with Carnegie Mellon University, developed the algorithms as part of a DARPA (Defense Advanced Research Projects Agency) research initiative to assist the U.S. Air Force. Operating in a similar manner to the technology behind commercial airline booking sites, flyRuby’s artificial intelligence instantly scans thousands of flight routes and seating charts for private flights across the country, finding available seating, and streamlining the booking process. 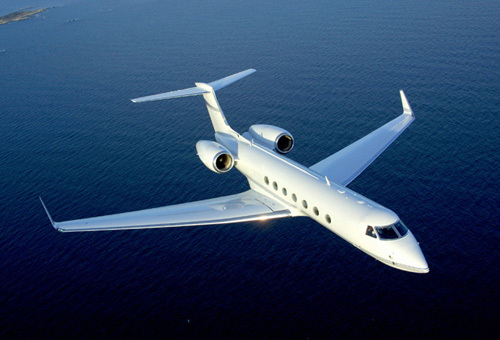 There are several private jet booking sites already online, like OneSky, Blue Star, JetCharters.com, and hundreds of other one-off fly charter brokers, for example, but many of them require the user to enter an email address for further information, or a booking agent will call you back a day later. Although we all tend to prefer human interaction in our customer service experience, flyRuby hopes that the time saved by automating this process, by allowing instantaneous search and results, will be enough to beat other private jet services at their own game. Virgin Charter tried the same thing beginning in 2007, providing customers with an online booking tool, but by 2009, it had folded. Granted, considering the price of oil and the soaring heights of the recession, it could have simply been an issue of timing. flyRuby hopes to pick up where operations like Virgin Charter stumbled by allowing you to bypass the middle man, skip the travel agency, saving you — or your assistant — from wasting time on the phone searching and booking private flights. For those lucky enough to spend significant time traveling on private jets, check out this service — and save some money.